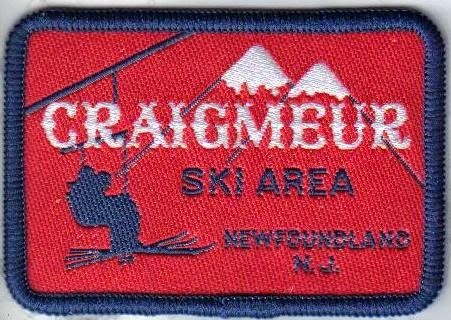 The Birth and Death of a Ski Area: Craigmeur ~ The History Girl! By the 1930s skiing was already becoming a popular sport in the United States. Major department stores like Bamberger’s, Gimbel’s, Sak’s and Wanamaker’s were even selling ski equipment. Some even gave ski lessons inside their stores on ski slides. In 1935, the first winter sports show was held inside Madison Square Garden in New York City. Several Swiss immigrants searched for the perfect place in New Jersey to build the first ski area in the state. They finally opened the ski area on property that Hugo Meury purchased in 1937. The ski area began originally with just one small slope and a rope tow for their families and friends. 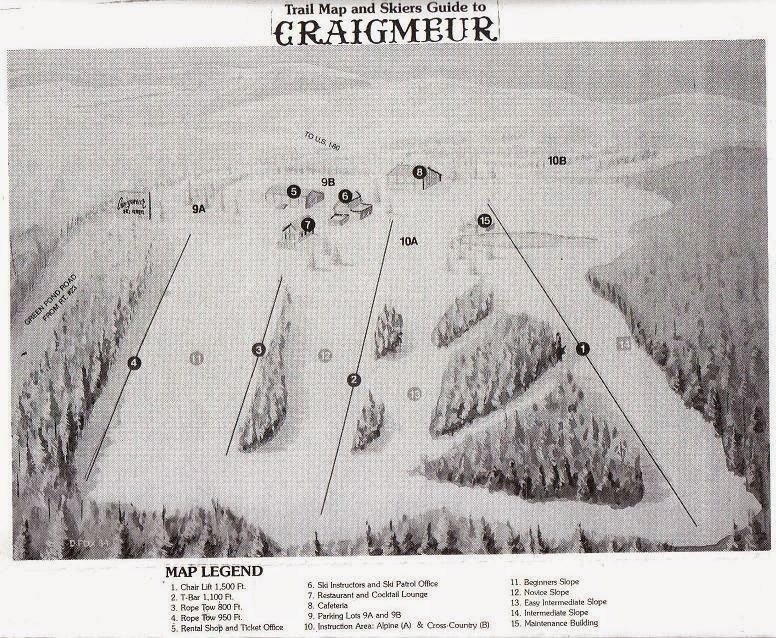 The ski area was named after Hugo Meury and his wife Helen Craig - the owners – hence the name Craigmeur. New Jersey’s first ski area was born. After Hugo Meury’s wife passed away, the ski hill was opened to the public and grew quickly. The Craigmeur ski area was the first in New Jersey to have a rope tow. Some reports said that the rope tow here was the second one in the United States. In 1942, some white Christmas lights were hung down the side of one of the slopes. These were probably the first lights used for night skiing. Before the snowmaking and grooming equipment were installed, the owner was known to personally groom the slopes every day by side stepping the trails with his own long wood skis. There are stories that if he saw you fall and not fill in the hole that you made or if you skied the same line all the time he would ask you to leave. In 1955, some of the first snow making equipment was used here. From 1963 to around 1967, the ski area also had two different ski jumps. The first was short lived and unfortunately was destroyed by strong winds shortly after it was built. The second ski jump burned down when a fire started next to it in the ski lodge. Craigmeur Trail Map courtesy Elizabeth Holste. Many local school groups came to the Craigmeur ski area over the years. It was a great place to learn how to ski. There are great stories from almost everyone that learned how to ski there. I’m sure you can remember the first time you stepped into ski boots, buckled them up, and strapped on your first pair of skis. You pushed off and headed down the slopes hoping that you would make it to the bottom without killing yourself. When you finally reached the bottom in one piece, you then attempted to ride up one of the rope tows or T-bars. As soon as you reached the top of the slopes you couldn't wait to try it again. 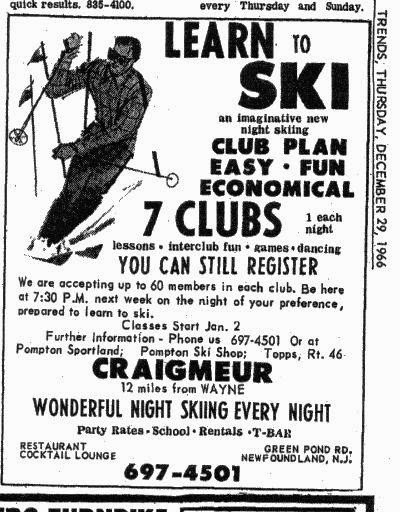 Craigmeur eventually became the premier “learn to ski” area in New Jersey. At one time they had 65 ski instructors. There was a unique learning program that they ran at the mountain. A person could purchase a ticket book for five lessons. They could then either use one each time they came to the mountain, or they could use them all in one day. The slopes at the mountain only had about a 270 foot vertical, but for a first time skier, they looked like they could have been at least a 1,000 foot vertical or more. Once you got your courage up - you told yourself you that if you could ski the “steep” slopes here – you could ski anything! Craigmeur Ski Area newspaper ad courtesy Elizabeth Holste. Over the years the owners of this ski area changed several times. Dorothy Murray and her first husband took over the operations at Craigmeur in 1965. During the many expansions at the mountain, new offices, a larger rental shop, and a new cafeteria building were added to the property. New slopes and trails were also opened. After the two rope tows, a T-bar and a chair lift were also added to the mountain. In the late 1970s, the Craigmeur ski area became a four-season resort when they added picnic and party facilities to the mountain. Several children’s rides, a swimming pool, tennis courts, ball fields, and a mountain slide were some of the new attractions at the resort. New Jersey’s most famous Winter Olympic athlete – Donna Weinbrecht was born in Hoboken. She is said to have gotten her start skiing at Craigmeur and several other local New Jersey ski areas. She was the first woman to win an Olympic Gold medal for the new sport of mogul skiing at the winter Olympics that were held in Albertville, France in 1992. Craigmeur Ski Area patch courtesy Elizabeth Holste. The energy crisis during the 1970s, several warm winters and increasing insurance costs took a toll on the resort. They also couldn't compete any longer with the larger mountains that began opening in the local area. In 1998 they unfortunately closed their ski slopes for good. The picnic and party facilities, however, were still used for many years after that. Craigmeur was the longest continually running ski area in New Jersey. Dorothy Murray should also be noted as the longest owner of a ski area in the state. 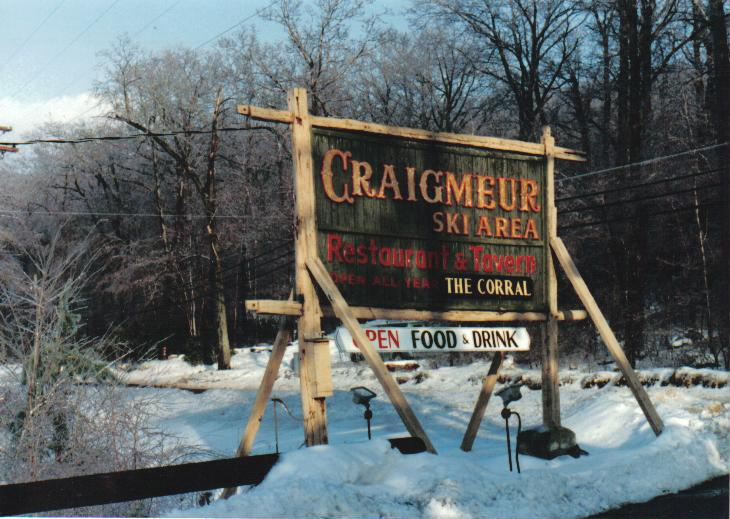 The ski slopes may have grown over long ago, but many people still have fond memories of learning how to ski at the Craigmeur ski area. In the summer of 2005, Dorothy Murray decided to sell the ski area property to the Morris County Parks Commission. The former ski area property will be preserved as open space. The Morris County Parks Commission plans on continuing the tradition of running the picnic facilities at the Craigmeur Recreation Area. 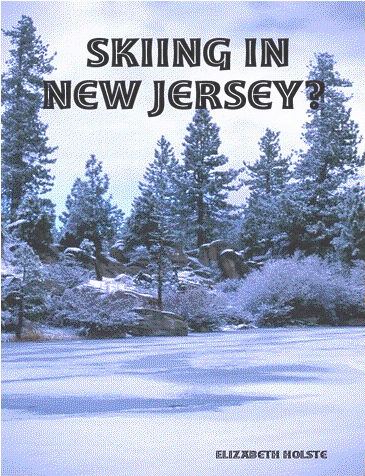 Skiing in New Jersey?, published in 2005, takes an interesting look back at the sport of skiing in New Jersey. Downhill skiing in New Jersey began in the mid-1920s and still continues today. Unfortunately, many of the ski hills talked about in Skiing In New Jersey? closed down many years ago. Now there are only three ski areas in the state that remain open. Skiing In New Jersey? is a must-have coffee table book for anyone who is interested in skiing or ski history! Elizabeth Holste, a passionate skier, has been skiing since she was 5 years old on the hills and roads of Highland Lakes while visiting her grandparents before the major ski areas opened in Vernon Township. Later in her childhood, she skied at local slopes such as Craigmeur, Great Gorge, Vernon Valley, and Hidden Valley in New Jersey. She also skied in New York State, Pennsylvania and Vermont. However, her favorite ski areas are out west - Snowbird and Alta in Utah. Holste belongs to two New Jersey ski clubs and started participating in adult ski racing in 1994 with the American Ski Racing Alliance group (amateur ski racing) that travels to ski areas throughout Pennsylvania, New Jersey, New York, and Vermont. 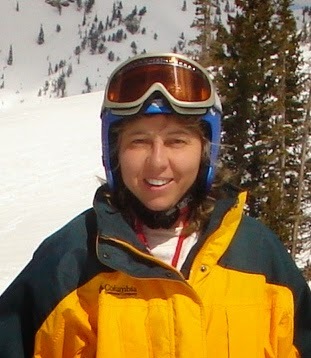 She has a ski blog at www.gondyline.com/skibabe and has historical information on some of the old New Jersey ski areas. To purchase a copy of her book, Skiing in New Jersey?, click here.